Our visit to Sri Lanka gave us an opportunity to experience Community Based tourism first-hand. These kinds of tours, by Ecowave Travels, are at the core of responsible tourism, because our dollars go directly to the people of the community and in turn, we get an opportunity to immerse ourselves into both a cultural and outdoor experience while we travel. We spent the morning starting at sunrise observing the fisherman and the wildlife of the Pottuvil lagoon. This place is the perfect place for a quiet, serene morning ‘drive’ on a raft, watching the lagoon wake up. Then, one of the community guides took us on a wildlife drive through Kumana National Park. The highlight was enjoying home cooked Sri Lankan food and staying in the village with a family during the duration of our stay. Meaningful Travel Experiences like this are what enhances our connection to the world. It is responsible tourism where your money goes directly back into a local community to support local projects. Residents get an opportunity to build their business, receive tourists and in turn, you get to see attractions and immerse in a cultural experience. Planning a trip to Sri Lanka? Kumana National Park- Known for its hundreds of species of migratory birds, and we managed to catch a glimpse of buffalo, deer, and elephants. 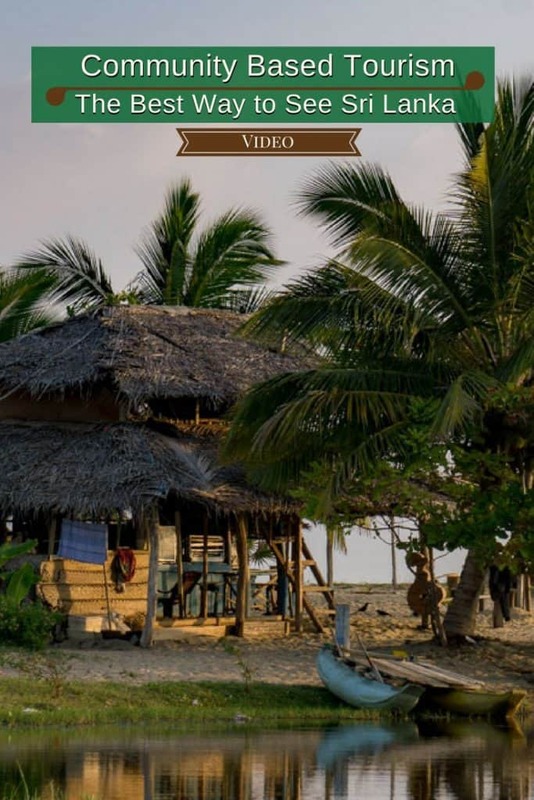 Panama Village- Near Arugam Bay is a local village with homestays with comfortable homes and locals that operate tours to Kumana National Park. For more stories and videos about Sri Lanka, you can find them all here. Note: We were hosted by Ecowave tours on this tour. We only make recommendations based on our own personal experiences, ensuring the interests and needs of our readers are top of mind.